The “it” factor has been debated for generations. What is “it?” How can you tell when someone has “it?” Sometimes it’s easy for a person to get lost in the crowd despite their amazing uniqueness. Other times, like in the case of the extraordinary women you’re about to see, the “it” factor is obvious. There’s no denying how special these women are. Whether it’s their world record flexibility or the incredible disabilities they’ve overcome, each one has “it” and that’s undeniable. You won’t believe what record Chris Walton set with her fingernails in 2013! Ericka Ervin, better known as Amazon Eve, is the world’s tallest model at 6’7″. The transgendered role model has struggled with body and height issues most of her life. Once she accepted herself, though, everything changed for the better. Not only is Ervin a successful model., she is also a fitness trainer. In 2014, Eve took her talents to television, starring in American Horror Story: Freak Show. In 2018, she made a guest appearance on Agents of Shieldas well. Valeria Luykanova was born in Moldova and has grown up to become a real life Barbie. Now living in Ukraine, she says her features, including her enlarged eyes and small waist are natural. The only feature she admits is altered is her chest. To get her body to mimic Barbie’s, Luykanova maintains a strict diet and exercise routine. Her workout is extremely brutal. If you’re ever lucky enough to see her in person, just remember this; she may look like a Barbie doll, but she hates being called that. Up next, if you thought a real life Barbie was interesting, wait until you see your favorite anime character come to life! Anastasiya Shpagina has created quite the online following for herself with her makeup skills. Using every tool at her disposal, she turns herself into any character you could imagine. Her favorite characters are anime ones, of course. 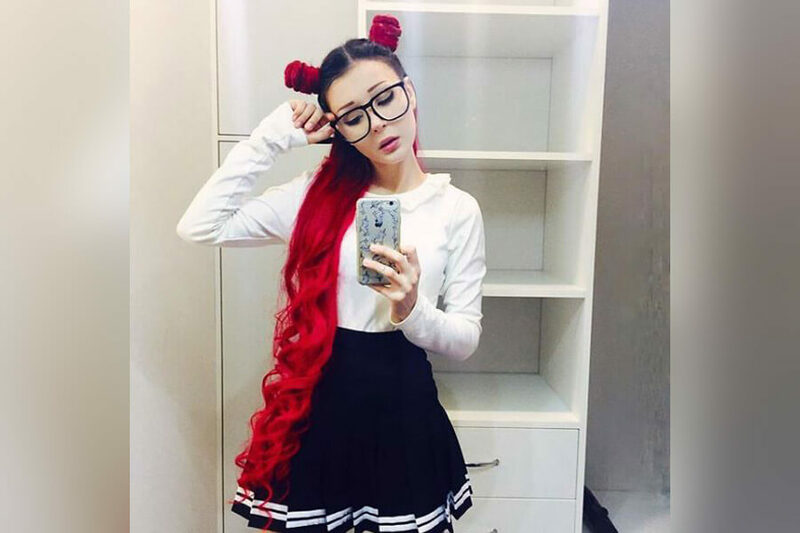 Looking like a living doll, Shpagina has received world wide attention for her unique look. Told once on television she looked like a doll, she fired back, “a doll is like me.” Since becoming famous, Shpagina has branched out from anime, learning to become pop culture icons like the Joker and Jack Sparrow. Elaine Davidson has an intimidating 9,800 piercings all over her body. Originally from Brazil, the piercing addict is constantly changing her look. Not satisfied with piercings alone, she also has numerous tattoos and is always experimenting with makeup. Her title as the most pierced woman in the world became official in 2000 when she earned a spot in the “Guinness Book of World Records.” At the time she had 462 piercings. Five years later that number doubled, and today it’s almost 10,000! Coming up, how long do you think the longest legs in the world are? Model Lauren Williams definitely has the “it” factor that makes other models jealous. Boasting the longest legs by a model in the United States, Williams doesn’t just turn heads on the runway. From feet to hips, Lauren Williams’ legs measure 49 inches, or just over four feet. She credits her wonderfully long legs to her parents. Both are over six feet tall. Height clearly runs in the family; Lauren stands almost six and half feet tall! Russian born gymnast Zlata is best known for her extreme flexibility. Using contortion, she can become several shapes. One of her most famous tricks is to contort herself to fit into a 50 cm box. Every year, the 32-year-old releases a calendar showing off her amazing skill. In the image above, you can see just how incredibly flexible she is as she poses for one of the months for her most recent edition of her calendar. Next, Christine Walton has record setting fingernails and you need to know why! 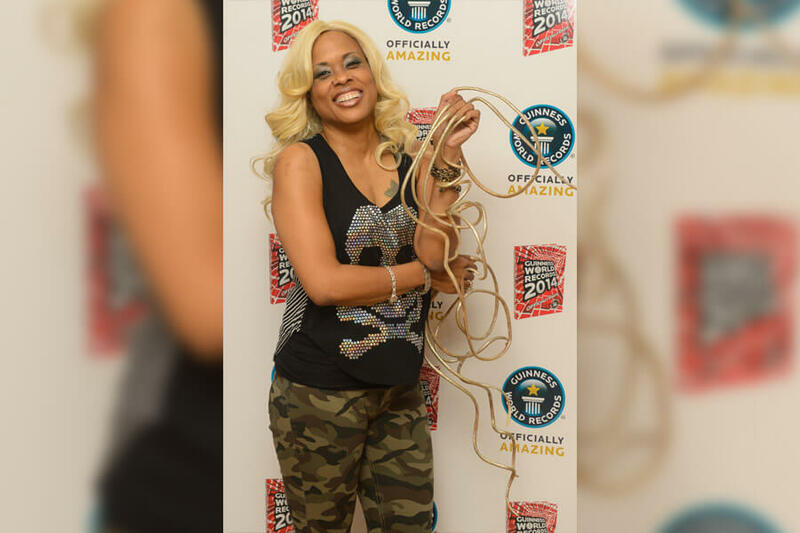 In 2013, Christine Walton entered the “Guinness World Records” thanks to her 24 foot long (combined) fingernails. The well-kept cuticles earned her the record for world’s longest fingernails. Walton, who goes by Chris, lives with her fingernails in Las Vegas. Walton’s long road to glory began in 1993, when she decided to quit clipping her fingernails. When she made history 20 years later, she painted her nails gold to celebrate. They have remained that color since. 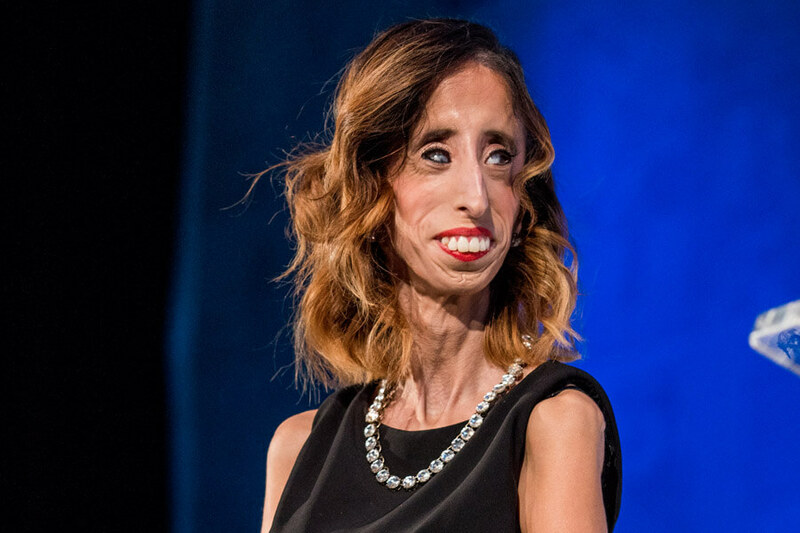 Lizzie Velazguez turned a life of being bullied into a career as a motivational speaker. Born with Marfan Syndrome, Velazquez is unable to gain weight or accumulate body fat. The condition, which has left her at 64 pounds, makes her the skinniest woman in the world. In 2015, a documentary on the life of Velazquez debuted at the South by Southwest Film Festival. One year later it aired on the Lifetime Network. She is also the subject of Unzipped, a documentary series that airs on Fullscreen. 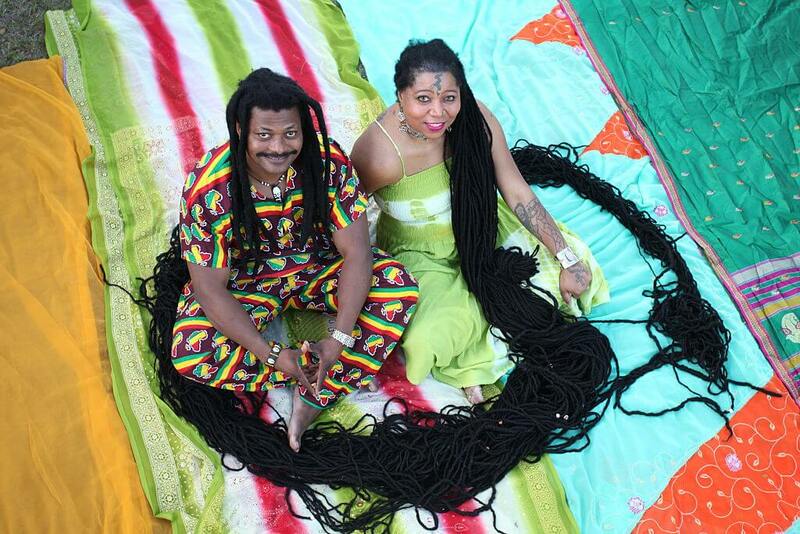 Asha Mandela takes hair care to a whole new level with her record setting dreadlocks. From start to finish, her magnificent hair measures just under 20 feet long. When wet, those luscious locks weigh 25 pounds! Mandela moved to New York City 25 years ago from Trinidad and Tobago. As the picture above shows, she’s doing just fine since uprooting her life. She even started her own line of hair care products and now makes a living off her most valuable asset. Still ahead, this brave woman got right back in the water after surviving a gruesome shark attack! 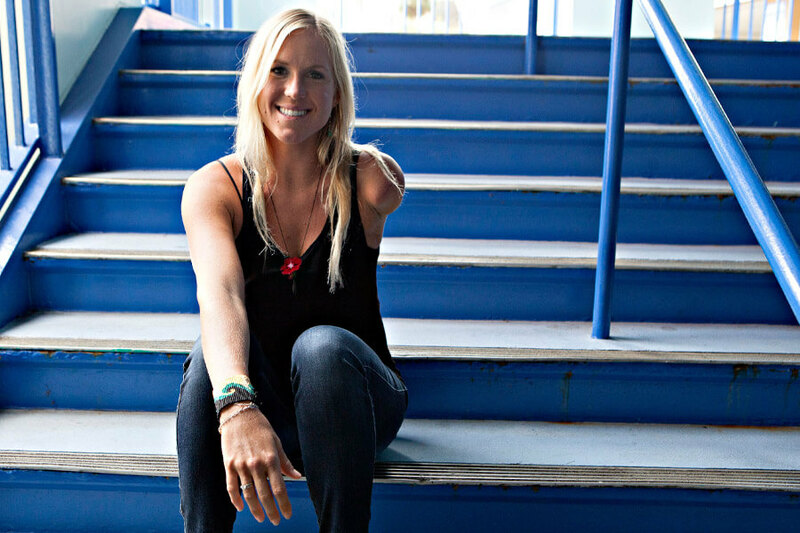 Bethany Hamilton loves surfing so much that nothing is able to stop her from getting in the water, not even a shark attack. In 2003, she was attacked by a shark, and as you can see above, lost her arm. Three weeks after the attack, Hamilton was back on her board! Hamilton wrote Soul Surfer: A True Story of Faith, Family, and Fighting to Get Back on the Boardthe next year. The autobiography became the movie Soul Surferin 2011. Natalia Partyka was born without a right hand or forearm. 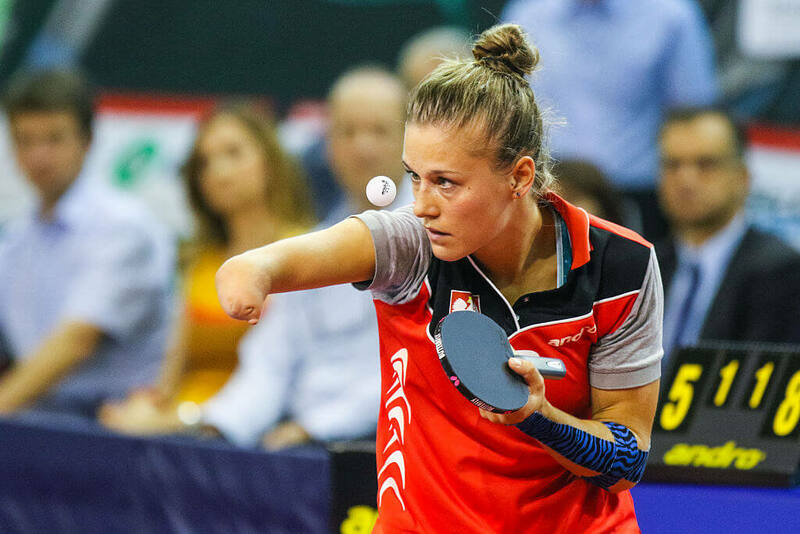 Despite the handicap, she has a made a life for herself becoming the best female table tennis player in the world. She started playing table tennis at seven-years-old and won her first medal when she was 11-years-old. In 2008, Partyka competed for Poland in both Summer Olympic Games and Summer Paralympics, becoming the second athlete to do so. She won gold at the Paralympics, beating Fan Lei of China. Pixee Fox is putting her life on the line to be a real life cartoon vixen. Coming from Sweden, Fox has had several surgeries to remove ribs to decrease he waist size to 14 inches. The procedures, while successful, have left her organs exposed. For Fox, the inherent danger in her appearance is worth it. She has spent over $80,000 in plastic surgeries. Operations have been performed on her waist, face, lips, chest, and other body parts. Just ahead, meet the woman with the longest neck in the world! Like Lizzie Velazquez, Lyudmila Titchenkova suffers from Marfan’s Syndrome. Unlike Velasquez, the syndrome doesn’t effect Titchenkova’s ability to gain weight. Instead, it has affected her connective tissue, resulting in her elongated neck. By the time she was 16-years-old, Titchenkova had the longest neck in the world. 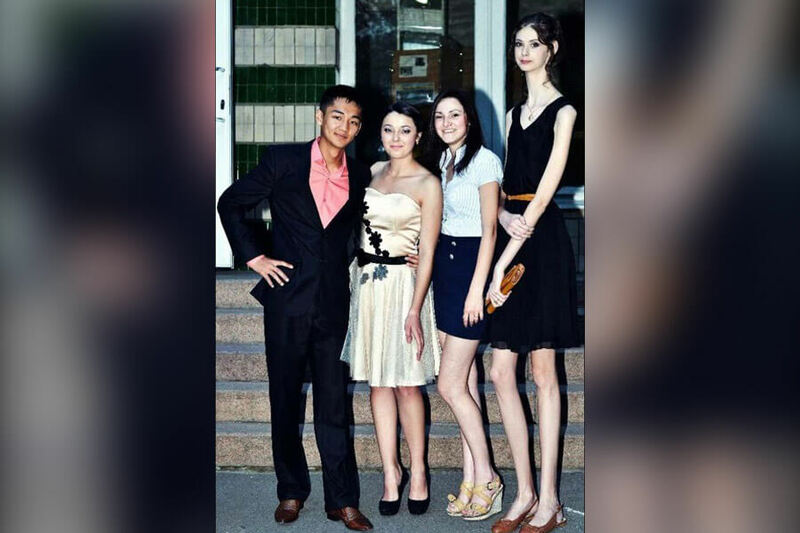 In the picture you can see exactly how the syndrome has stretched it out, making her nearly a foot taller than her friends standing right next to her. Just when you thought you had seen every profession, you find out that it’s possible to make a living swallowing swords. Natasha Veruschka is one amazing woman who has made her livelihood swallowing these deadly weapons. Living and performing in New York City, Veruschka once swallowed a record 13 swords! No one, to this day, has come close to matching that number. 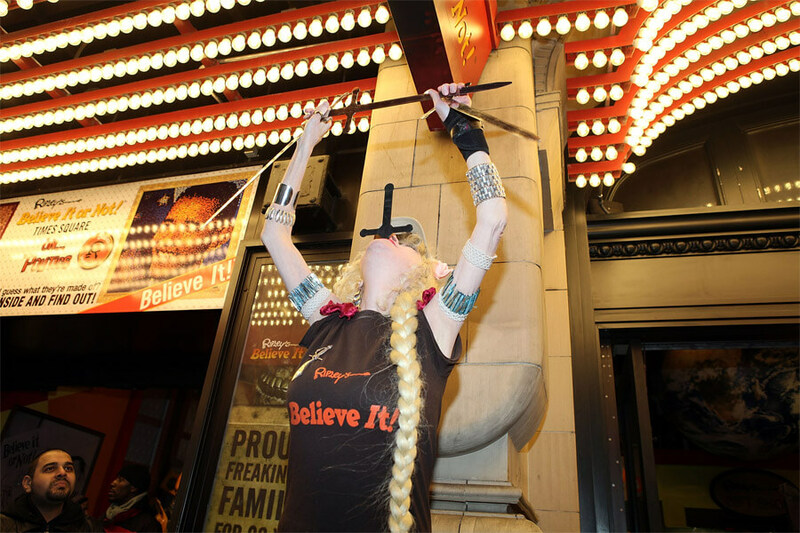 She’s not just a one trick pony, though, and holds a total of seven sword swallowing records! Jyoti Amge is only 23 inches tall. She was born with a rare form of dwarfism called achondroplasia, but hasn’t let her small stature stop her from reaching great heights. In 2014, she co-starred with Amazon Eve on American Horror Story: Freak Show. Amge was also the subject of the 2009 documentary Body Shock. Guinness named her the shortest woman in the world in 2011 and introduced her to the shortest man in the world in 2012. Nicknamed “The Illustrated Lady,” no one in the world sports more tattoos than Julia Gnuse. Amazingly, Gnuse’s reasons for covering her body in ink isn’t because she loves them. She actually uses the tattoos to cover her porphyria, a condition that causes her skin to blister. Gnuse estimates that 90 percent of her body is covered in tattoos at this point. She is believed to be the most inked woman in the world, and was once featured on Ripley’s Believe It Or Nottelevision program. 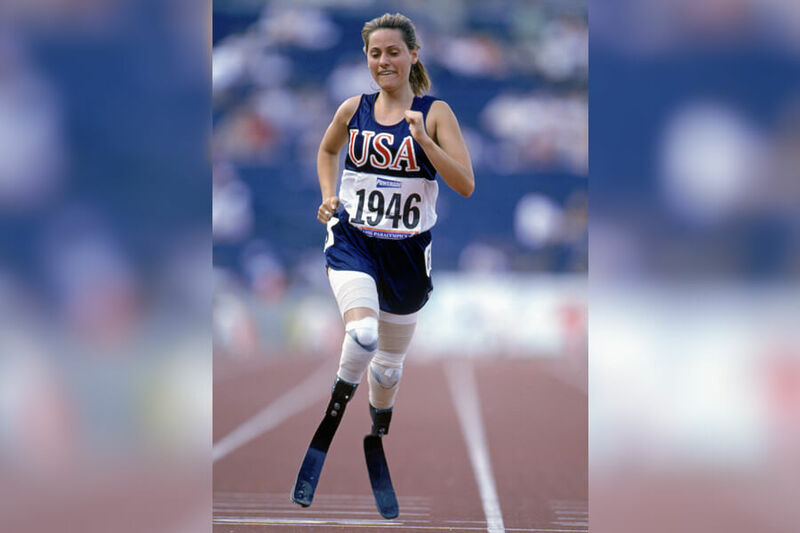 In two slides, take a trip down memory lane to learn what actress/athlete Aimee Mullins had to overcome while in college. Aevin Dugas lives in New Orleans and chooses a chemical free lifestyle. Believing that natural is beautiful, the incredible Dugas makes it a point to let her afro grow loud and proud. 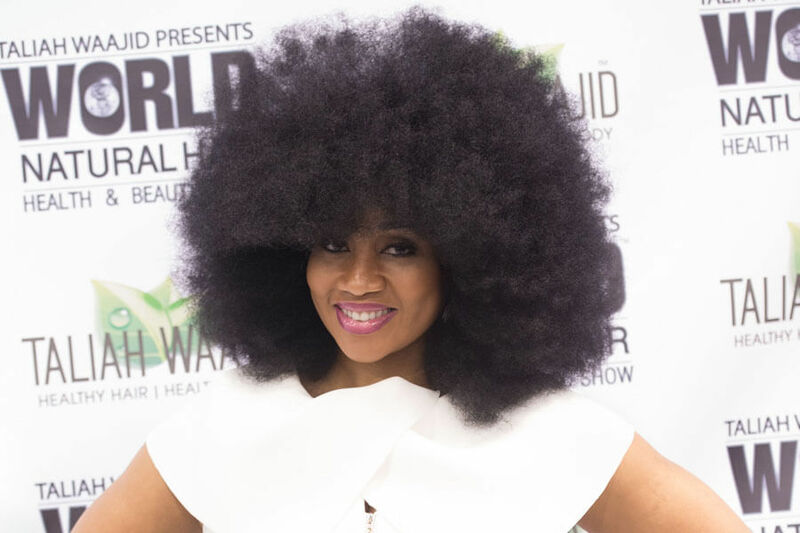 Reaching heights of almost eight inches, she has what is considered the world’s largest afro. These days, Aimee Mullins is known more for her acting than her athleticism. When she first caught the public eye, however, it was because of the obstacle she overcame to become a United States track star. Mullins was born with a medical condition that forced both of her legs to be amputated. Throughout her life, she has experimented with various prosthetics. The ones above were only the beginning. Today, she can change her height by four inches depending on what legs she wears! Emma Morano was born in 1899 and passed away in 2017. She was 117-years and 137-days-old. Before her death, she was the world’s oldest living person. 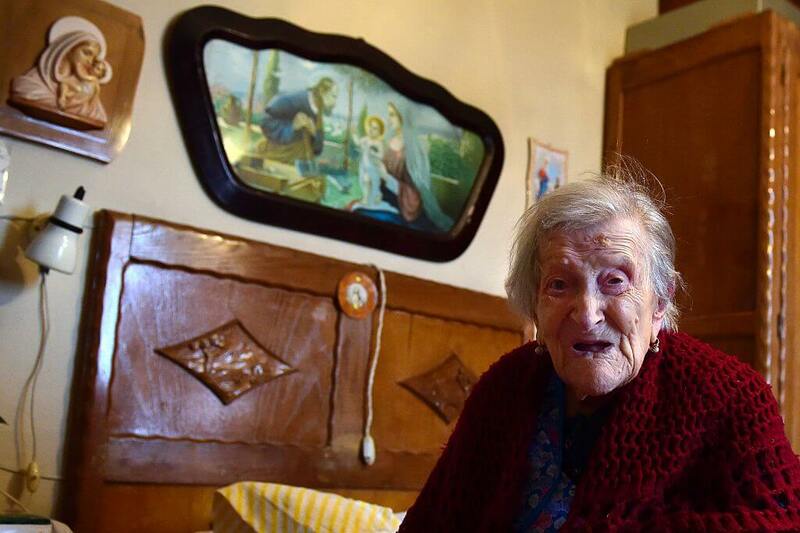 She was also the last living person on record born before 1900, and the seventh oldest person in recorded history. After her death, Violet Brown became the oldest living human. She was born in 1900 in Jamaica. She was also the last known living subject of Queen Victoria, who died in 1901. Rebecca Meyers Might Be Losing Her Vision But Her Drive Is Stronger Than Ever. Rebecca Meyers is a world class athlete who refuses to let going blind while being born deaf stop her from being great. 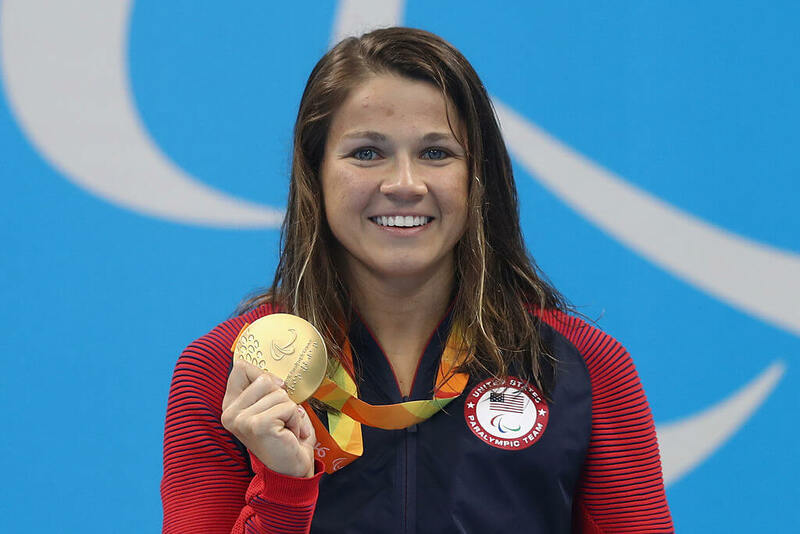 Born in 1994, Meyers participated in her first Paralympics as a member of team USA in 2012. She won bronze in the 100 meter freestyle swim. Four years after winning bronze, Meyers took gold, three times, at the 2016 Paralympic games in Rio. She also competed in the Deaflympics in 2009, winning bronze in a 400 meter race. Peggy Whitson truly knows no barriers! 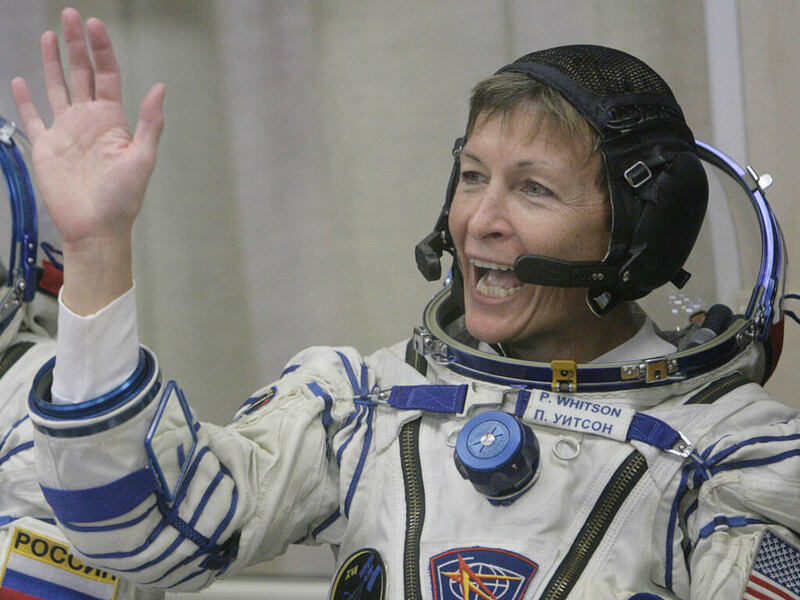 In 2016, the veteran astronaut was launched into space at the age of 56, becoming the oldest female to go into space. She broke another record during this expedition; topping fellow astronaut Jeff Williams’ record of 534 days spent in space; nearing a year and a half of her life in zero gravity. Guinness World Records says that Whitson is “an incredible example of iconic women in science,” and we couldn’t agree more. Big Air snowboarding gets bigger every year- and that includes the women in the sport. 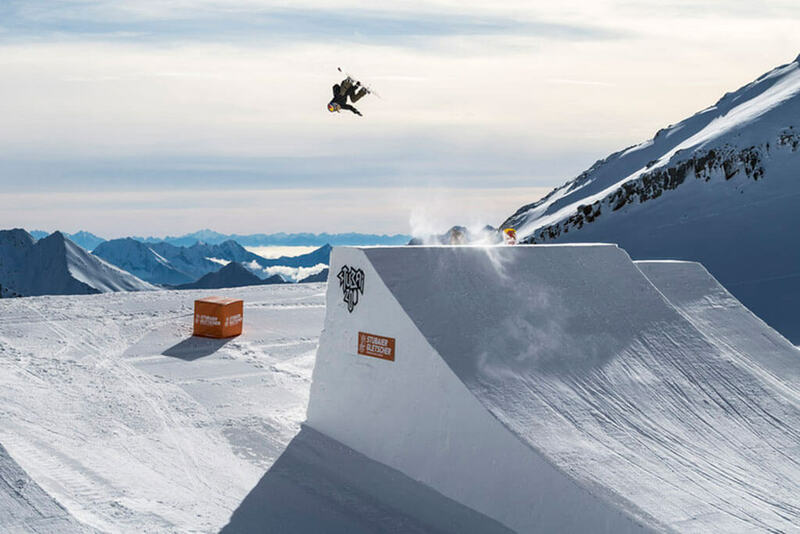 Snowboarders like Hailey Langland, Jamie Anderson, and Katie Ormerod launch off huge jumps in the women’s Big Air division, completing high performance tricks that nearly defy gravity. Anna Gasser is another woman who is progressing snowboarding. In November 2018, Gasser completed a cab triple 1260, and was the first woman to do so. The trick is riding switch stance, and rotating three and a half times in the air, landing back in their natural stance. It’s a huge accomplishment that Gasser achieved in Austria. Surfers consider any wave over ten feet to be a big wave. Brazilian surfer Maya Gabiera didn’t just ride a ten-foot wave though, she rode one almost seven times that size. 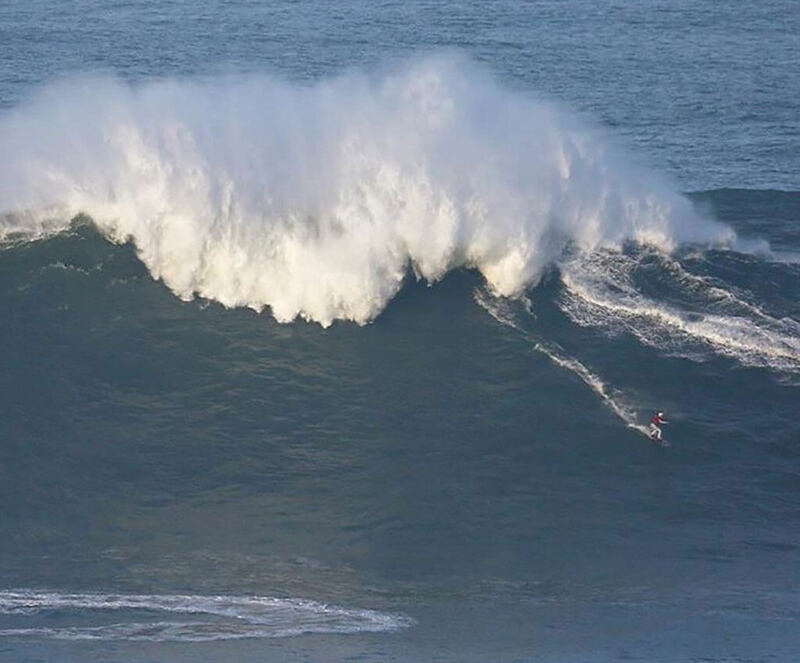 On January 18, 2018, 31-year-old Gabiera went to Nazaré, Portugal to chase a monstrous swell, and possibly break the world record for the largest wave ridden by a female surfer. In order to set the record, she braved the big waves of Nazaré, even though she had been knocked unconscious surfing the same wave in 2013. Gabiera held onto a rope, and was towed by a jet ski into a 68-foot wave. She rode down the face as the wave broke behind her, and successfully kicked out. In 2016, Fiona Castleton did something incredible. The 24-year-old from Sacramento set out to beat the world record for the most consecutive push-ups. The record at the time was 302, and it was set by her fitness teammate Maria Tobar. Castleton’s previous record was 550. When she was young, Castleton was diagnosed with scoliosis. A year and a half before setting the push-up record, she decided to start working out in order to be healthier. Although she was initially intimidated at the gym, she was a natural and quickly grew stronger. This is Kayla Itsines. She holds Guinness records in multiple fitness categories. The best part is that The Australian author and personal trainer aims to inspire others to become fit and feel self-confident. 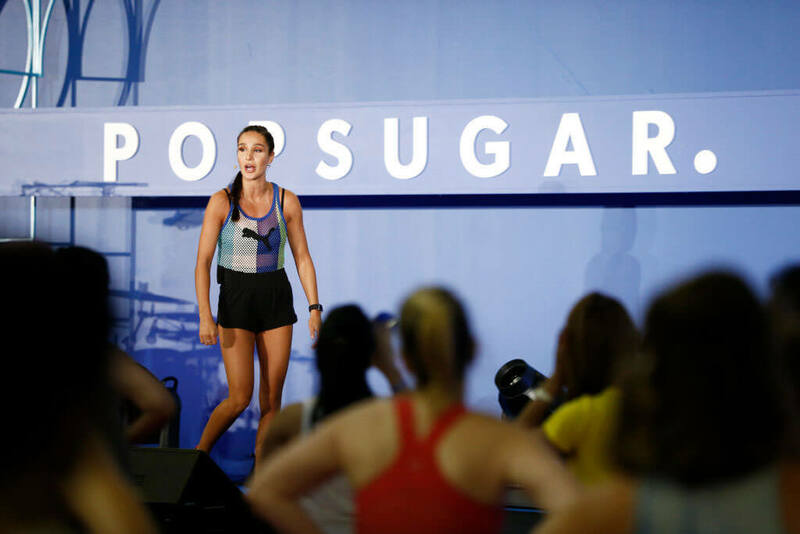 in 2017 she even led a group fitness class that led to Guinness records for most people performing star jumping, most people running in place simultaneously, most people performing sit-ups simultaneously, most people performing lunges, and most people performing squats. That’s a lot of people getting into shape! Laura Dekker had an impressive goal: to circumnavigate the entire globe, alone. The Dutch teenager also didn’t want to wait until she was order, in order to complete her goal. At 15-years-old, she felt that she was ready. After she convinced her parents, the government stepped in and said she was too young. But Dekker did it anyway. 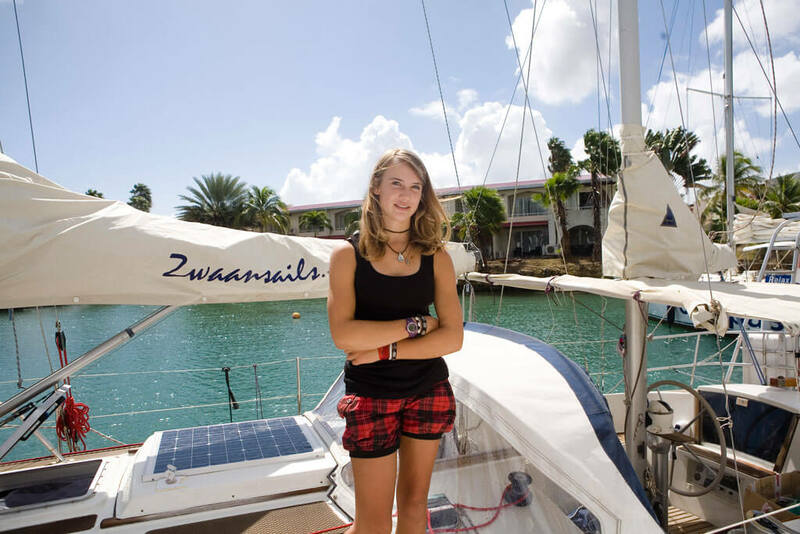 At 16-years-old, she became the youngest person to circumnavigate the globe by sailboat. It took her one year and five months. Dekker wasn’t surprised she completed it at such a young age. After all, she learned to sail solo at six-years-old! 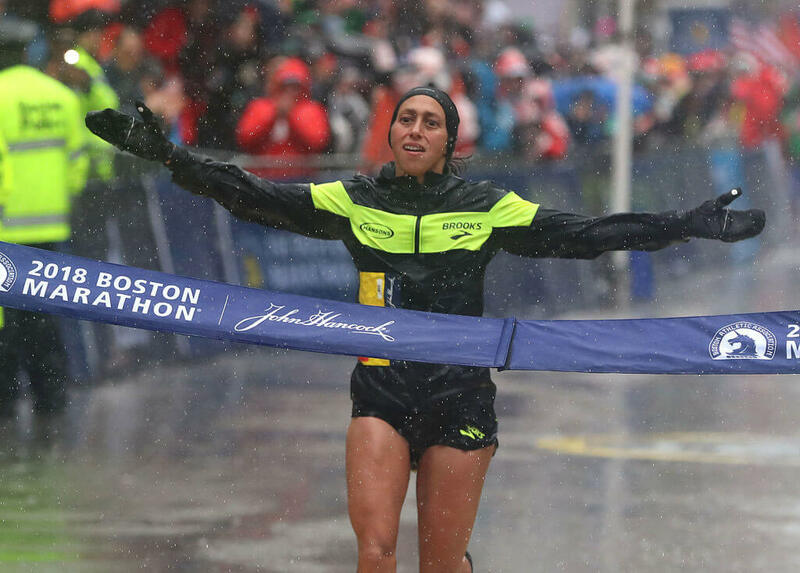 In April 2018, the world watched as American runner Desiree Linden crossed the finish line at the Boston Marathon. Linden is a two-time Olympian and has run the marathon many times. In 2011, she nearly won, finishing second. In 2018, Linden was the first at the finish line- male or female. She finished the race in 2 hours, 39 minutes, and 54 seconds. It was the first time in 33 years that a female won the prestigious marathon. 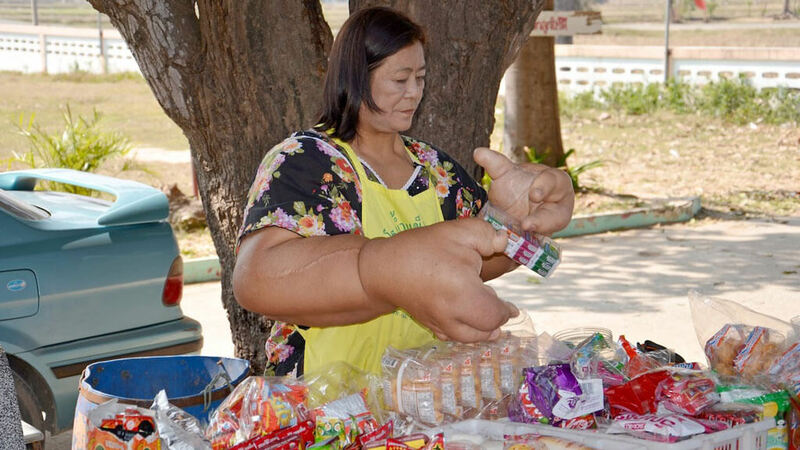 This woman from Thailand has the largest hands in the world. Duangjay Samaksamam has an extremely rare condition known as macrodystrophia lipomastosa. It causes enormous build-ups of fatty deposits in her arms. A California student named Chanel Tapper officially holds the record for the world’s longest tongue. It measures in at a whopping 3.8 inches. As Guinness World Records described, “Her lizard-like tongue is twice as long as the average, as long as the world’s largest cockroach, as wide as your palm, the same volume as a quarter pounder hamburger and around the same length as an iPhone.” Wow. That’s quite a tongue. Carrie Swidecki is a school teacher who loves video games. More specifically, she loves Dance Dance Revolution, the game that requires you to stand up and dance along with the game to score points and win. From June 15th until June 17th, Swidecki played Dance Dance Revolution for 16 hours and nine minutes. The feat scored her two Guinness World Records: the longest marathon on a motion-sensing dance game and the longest marathon on a dance-rhythm game. She was initially inspired to play the game to help her lose weight. The Hensel twins, Abby and Brittany, were born as conjoined twins, and have lived their entire lives that way. Each twin operates one side of the shared conjoined body. People started following their story on TLC’s show Abby & Brittany, throughout 2012. The twins have gone on to graduate college, each of them earning a degree, and began their careers as school teachers. Although they’ve had to navigate the world differently than other people, it doesn’t limit their ability to lead a normal and happy life. French runner and outdoor enthusiast Stéphanie Gicquel decided to go further than anyone had gone before. Gicquel set out to break the world record for the longest assisted journey across Antarctica. She traveled by skis across the treacherous terrain near the South Pole for a year. Through the wind and chilling temperatures, Gicquel traveled a total distance of 2,045 km, which is 1,270.7 miles. The expedition was not only impressive but for a good cause. Gicquel raised over 10,000 euros to donate to a French charity that takes care of sick children. 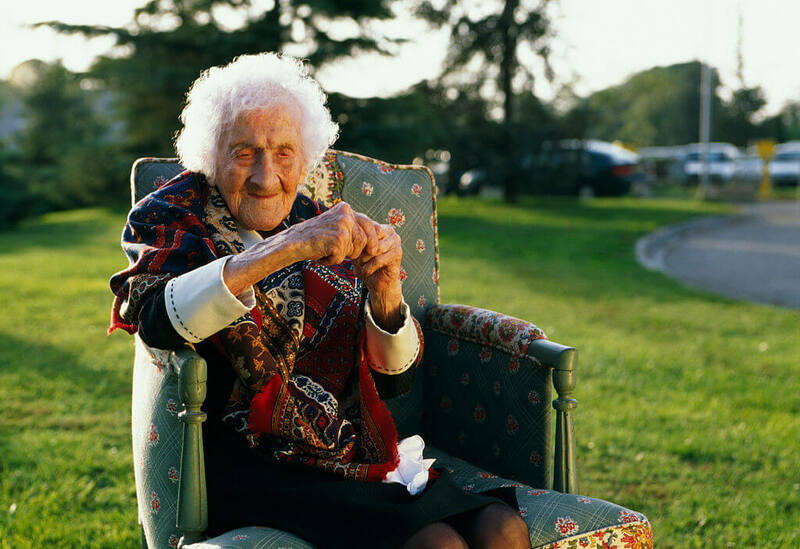 We bet you can’t guess how old the oldest person in the world lived to be. The answer is 122 years and 164 days. That’s how old Jeanne Calment lived to be. She lived in France her entire life, where she says she was comfortable and had low stress. Calment was even able to walk without assistance at age 114. Although she ate healthy and exercised daily, and has no particular secret on how she lived to be so old. She loved to eat dessert after every meal! One Woman Gave Birth To 69 Kids! The Guinness World Record for giving birth to the most children is astounding. It’s far beyond anything that you’d expect it to be and hard to wrap your brain around. 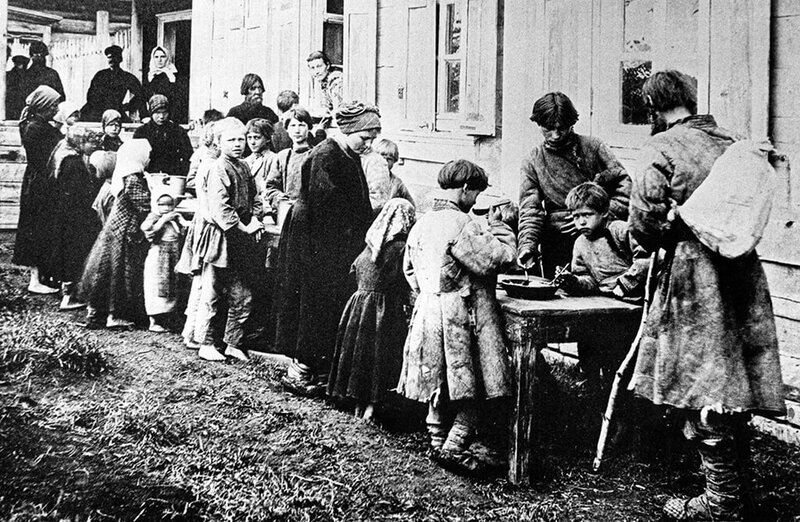 The Russian woman was the first wife of Feodor Vassilyev and the births were reported by the Monastery of Nikolsk in 1782. They were a family of peasants, and she gave birth to 16 pairs of twins, seven sets of triplets and four sets of quadruplets. As it turns out, it’s not impossible for a woman to have 27 pregnancies during her fertile years. Wow. Russian women are quite impressive! 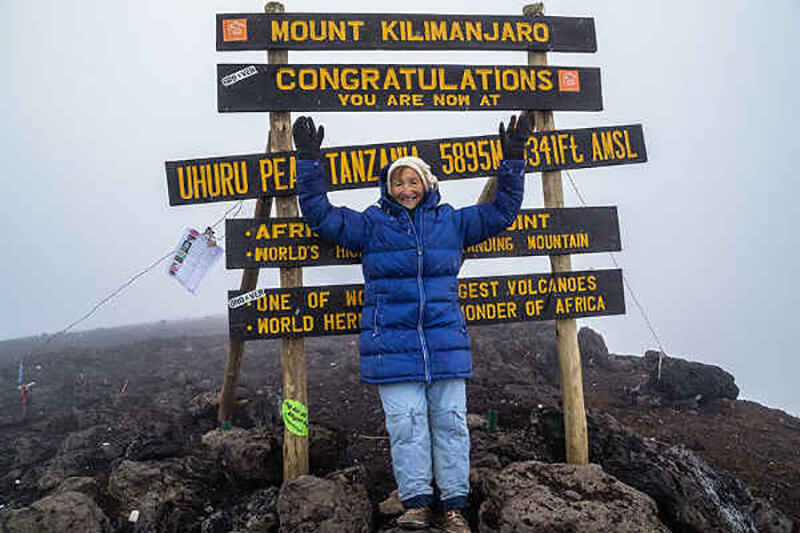 On October 29, 2015, Angel Vorobeva reached the summit of Mt. Kilimanjaro. She was 86 years and 267 days old when she did it. Vorobeva climbed the 19,340 foot mountain in honor of her late sister, who passed away at a young age. Daughter of the late crocodile hunter, Steve Irwin, Bindi has been around animals her entire life. She shares her father’s curiosity and sense of adventure, and never hesitates to get close to even the most dangerous animals. All grown up, she now works in a zoo in Australia where she makes a living doing what she loves. Australia is known for their dangerous native creatures, but that doesn’t faze this girl- it’s just in her nature! The most terrifying aspect of this image is the fact that it’s actually real. 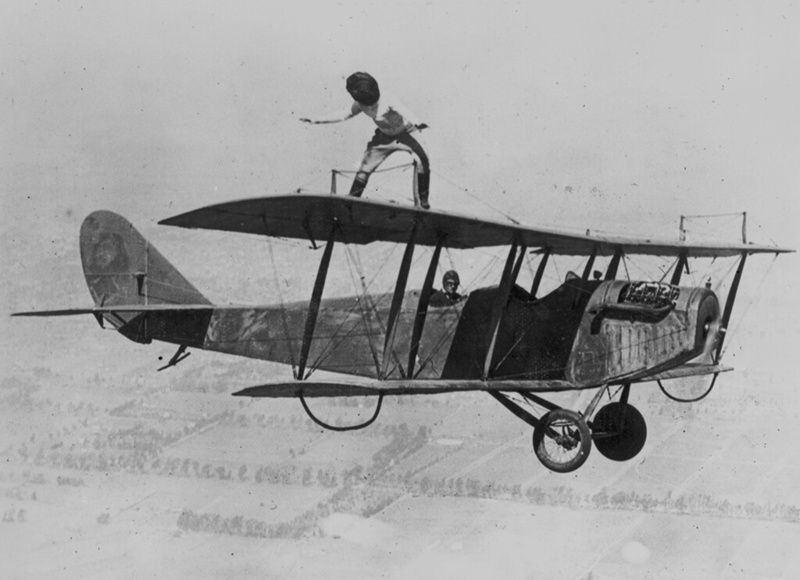 Gladys Roy was a professional daredevil in the early 1920’s. She would pull off stunts like this in the sky for a paycheck between $200 and $500 for each performance. The girl from Minnesota grew up with three brothers, all of whom became pilots for Northwest Airlines. Roy was tragically killed at the age of 25 when she walked into a spinning plane propeller while posing for a photo shoot. Even walking on a tight rope that’s two feet off the ground is difficult, but Tatiana-Mosio Bongonga takes it to an entirely different level. The French tightrope artist takes on challenges 115 feet in the air. At 34-years-old, she walked on a rope suspended by a crane in Paris’ northern district of Montmarte. And no, she wasn’t wearing a harness. 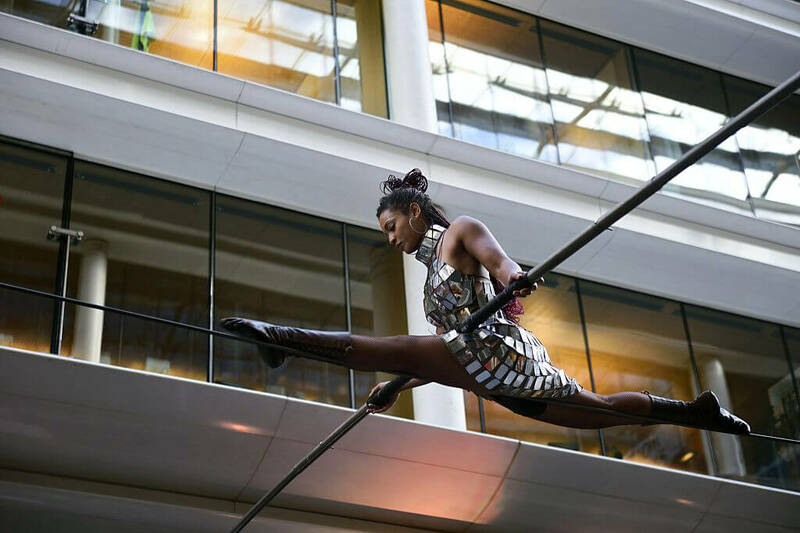 Even though she’s been tightrope walking since she was eight, and preparing for the show for a year, she’s risking her life doing it! Environmentalist Hannah Fraser goes to extreme lengths to raise awareness of the ocean’s marine life that’s being depleted. In 2014, she put on her dive suit and set-out to dance with the sharks on the sea floor in the Bahamas. Shawn Heinrichs captured the incredible scene on film, and named the video, “Tigress.” She’s also posed with whale sharks and manta rays to show people that these animals are beautiful and are in need of saving. Robert Mancino is an absolute daredevil. The adrenaline-seeking Italian jumps out of planes on the regular. Not only that, she attempts insane stunts with Red Bull, like jumping out of an airplane and skydiving back into the same plane. Although she’s had near-death incidents, she’s still pushing forward with her passion. She says, “It’s a beautiful sensation that gives you lots of freedom.” She’s one of only two women who do Race BASE jumping competitively.